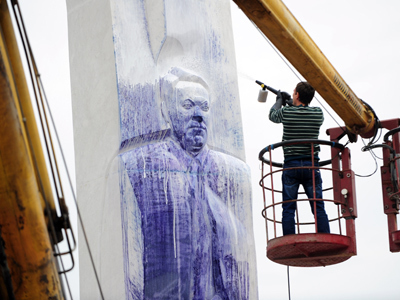 Russian authorities have detained several suspects in recent vandalism against a monument to Boris Yeltsin in the Urals city of Yekaterinburg. The 10-meter high monument was paint-bombed, and community workers are still having difficulty cleaning it. Vandalism is an administrative offense in Russia, with a maximum punishment of three months in prison. News of the arrests came soon after local authorities announced that they were not planning to allocate additional funds to restore the obelisk. The Yeltsin Center will be responsible for the cleanup, a city spokesperson said. 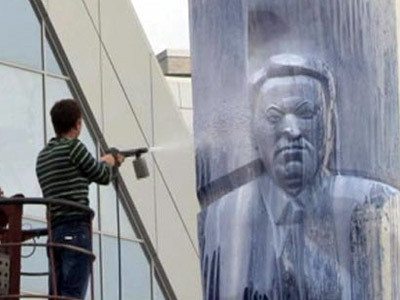 In the early hours of August 24, unidentified vandals threw paint and smashed the lettering on the monument to Yeltsin, the first president of the Russian Federation. 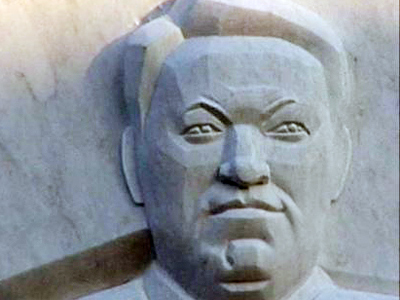 In the morning, police officers discovered the 10-meter monument covered in paint. The monument’s designer later told the press that the incident must have been pre-planned, since covering a 10-meter-high structure in paint would require the use of special equipment, like a construction crane. Officials and activists from the local Yeltsin Center voiced indignation over the incident, but local communists expressed support. A representative of the local branch of the Communist Party of the Russian Federation (KPRF) said the party sympathized with the vandals, and were prepared to pay for a lawyer to defend the vandals if they are put on trial. The representative also promised KPRF protests in support of the suspects. The KPRF representative argued that leaving the obelisk in its current location should require city authorities to allocate a dedicated budget for workers to regularly clean the monument. The monument was unveiled in Yekaterinburg in 2011, nearly three years after Yeltsin’s death. Yeltsin was born in the Urals, and began his political career in Yekaterinburg (known as Sverdlovsk the Soviet era). 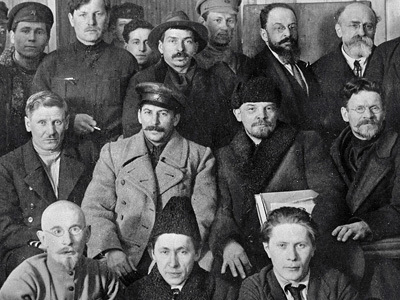 He was elected to the top regional post in the Communist Party hierarchy, before moving to Moscow to become a deputy of the parliament.